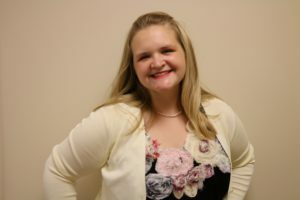 Welcome to the Mom Squad with me, Brittney Baily! Home » Welcome to the Mom Squad with me, Brittney Baily! There are classes, books, and even so-called “experts,” but nothing will prepare you for being a parent yourself. The moment you see that little + on that little test, your world has turned upside down, inside out, and it will never be the same as it was. But it’s also the BEST thing that could ever happen to you. This is just the beginning. The beginning to a life full to the brim of love, laughter, and lots of messes!! Come to think of it, I was scrubbing crayon off my refrigerator only 3 hours ago! You have been given the greatest, most spectacular gift anyone could ever open! No one can prepare you for the first time you hear your baby’s heartbeat, adore their cute profile on an ultrasound, and nothing will ever match the undeniable growth of new love to the depths of your soul when your new baby is placed in your arms. Sleepless nights become the norm, and you start humming “Baby Shark” in the office. Going out past 8 p.m. sounds unheard of, and wait, what is that smell? There will always be difficulties, but they seem to change….just like the estimated 2,500 diapers you will change in the first year! I have literally changed diapers every day since my first was born on September 18th, 2012. I do my best to pretend it’s a pit stop in the Indy 500, and my racer is relying on my speed and efficiency! Come to think of it, pregnancy explains why I BURST out crying when I was officially offered the job. I cried a lot then…like when the Daddy penguin doesn’t transfer the egg in time and it freezes! Scarred for life. Your body goes through so many changes, it’s almost hard to keep up. Or keep your food down. Pregnancy is so beautiful though. 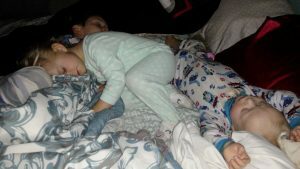 I loved feeling my new baby kick, and I would fall asleep to the rhythm of his all-nighters. The first person I told about this new life was my mom, a.k.a Grandma! She was elated, as was my dad, who cried almost as much as I did. The idea that there would be someone new in our family was overwhelmingly joyous. As each day grew closer to my due date, so did my curiosity. What would he look like? How will I know what he needs? Is this the right pediatrician? WHAT are we going to name him?! It wasn’t until I was 8 months along that we decided Liam Remington would be our son’s name. It’s inspired in part by Liam Neeson in Taken: “I don’t know who you are, but I will birth you. And I will love you.” I thought I was being extremely original and had never met another Liam in my life before! It’s amazing how many Moms and I had that same thought, because Liam was the most popular boy’s name in 2012. 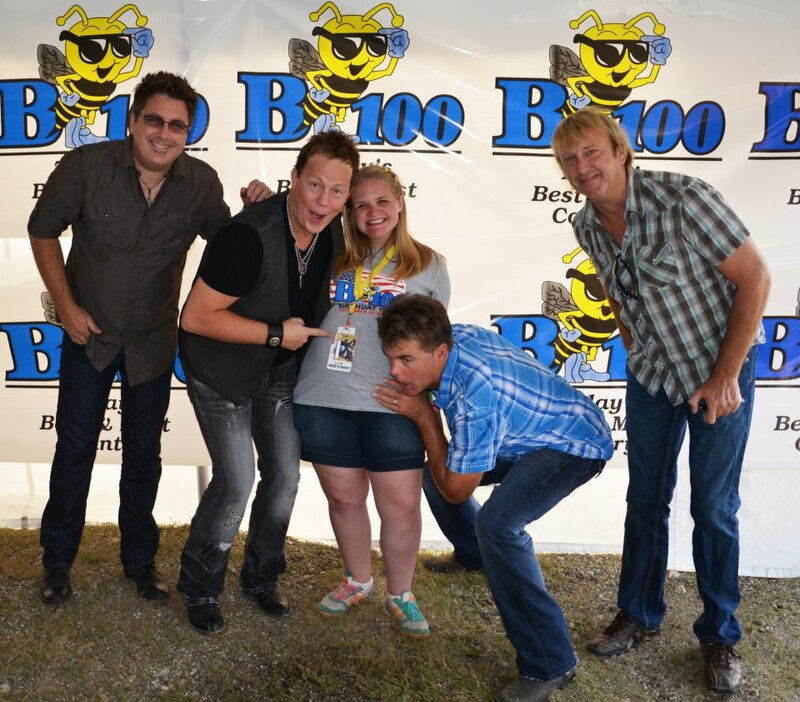 I went into labor the night of our HUGE annual concert at work: The B100 Birthday Party! How appropriate when I was about to celebrate Liam’s! 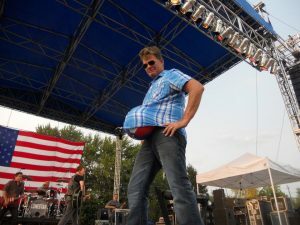 That year, Lonestar was headlining and lead singer Richie McDonald thought it was the greatest thing that I was 2 days past my due date. Yes, SO great to walk around in 100-degree temps while I was the size of a small ocean liner. (I honestly don’t remember a summer hotter than 2012). Richie had told me that if I went into labor between then and their performance, he wanted me ON that stage so he could sing “You’re already there…” to my new baby. 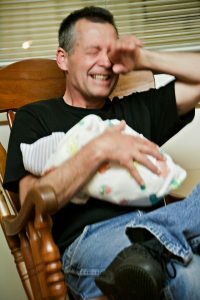 Laboring on stage was definitely NOT going to happen, but RICHIE MCDONALD of LONESTAR just sang to my preborn baby!!!? Is this real life!??! When it was time for their set, I was in the front taking pictures and someone threw a beach ball their way. Richie grabbed it and stuffed it into his shirt, yelling from the stage, “We match!! !” See, I wasn’t far off with small ocean liner! It was something I will never forget and still makes my heart happy to think about it. That night, I was lying in bed exhausted from a long day, amazed (see what I did there?) at what had happened, and just about to fall asleep when labor hit! I had been up nearly 20 hours, but this was it! Liam was such a good boy to wait until after the Birthday Party!! The labor that I stayed awake late at night envisioning (partly due to that friendly pregnant insomnia) was happening and I was freaking out! Was I going to be all hot, sweaty, and screaming at my husband, “THIS IS ALL YOUR FAULT! ?” Questions were the last thing on my mind, because “OWWWWWW!!! 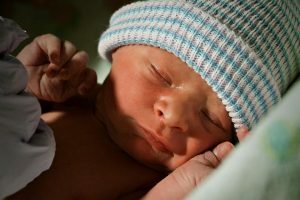 !” Then 40 hours later my sweet boy entered the world with loud screams in a room full of people. Seriously, there were like 14 people in there. It changed my life at 4:21 a.m. when this little baby came into the world and immediately stopped screaming when he heard my voice. I wasn’t prepared for a long labor, I wasn’t prepared for 14 people to watch me give birth, but the moment his little body was placed in my arms it was exactly what my heart had been waiting for my whole life. It’s also magical when you get to see your parents turn into grandparents and almost see how they felt when YOU were born. Liam is now 6 years old and I have had 3 more kids since then! Side effects of baby fever make you forget the horrible pains of labor, and we also don’t have cable….so…. This new adventure of motherhood is the most marvelous thing that has ever happened to me. Even if I hit the lottery, married Jake Owen, and had a private chef, nothing could ever compare to the little feet that run through my halls and kick my sides in the middle of the night. I mean a couple million dollars would be great, but who am I kidding? I would spend it on them anyway. There have been so many times where I think, “Am I alone in thinking this!? What should I do? I feel lonely.” And I know I’m not alone. That’s why we have created this safe, welcoming, and wonderful world of Mom Squad. This place where you aren’t alone, Mom. Your questions aren’t silly, and you WILL be encouraged, lifted up, and enlightened on this amazing journey. We will have amazing content created by moms, just FOR moms! 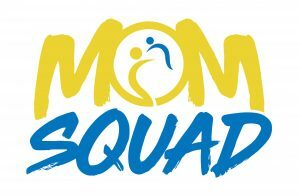 Join our Facebook group, be sure to sign up for the newsletter, and get ready for Mom Squad’s official podcast, The Squadcast! I will have the chance to have heart-to-hearts with other moms, chat with specialists to help us on this journey, and share amazing events inside our community for your entire family. We are building this amazing place with all moms in mind from all walks of life, with different backgrounds, yet incredible experiences of motherhood. We ARE in this together. Your expertise may be just what another new mom will need. I know firsthand how crazy-busy life is, but this will be incredibly helpful, encouraging, and beneficial as a loyal group of women will be here for you to count on as friends and confidants. We all ultimately want what is best for our children, and the best thing we can do for them is be fully equipped with the tools we need to provide them an amazing childhood leading them to wise paths of adulthood. We also need to take care of ourselves; physically, mentally, and emotionally. Our families and the world are counting on us! We are united and this IS just the beginning. Welcome to the B100 Mom Squad!